Whether you are new to Evernote, or a fan already, you are in the right place. Evernote expert Stacey Harmon has created actionable, precise instructions for accelerating your productivity with Evernote. 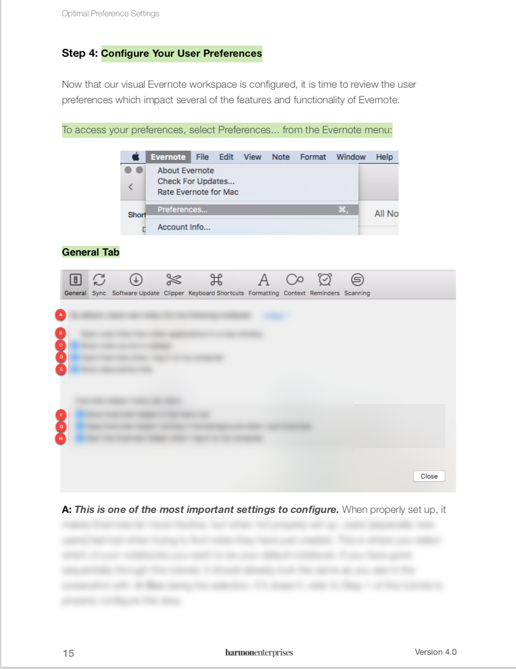 Our Evernote Desktop Settings Guide (for Mac or Windows) is a tutorial like no other. It isn't about theory. Instead, you are guided sequentially and specifically through the proper configuration of your Evernote desktop application settings, and learn how to create your perfect Evernote workspace. 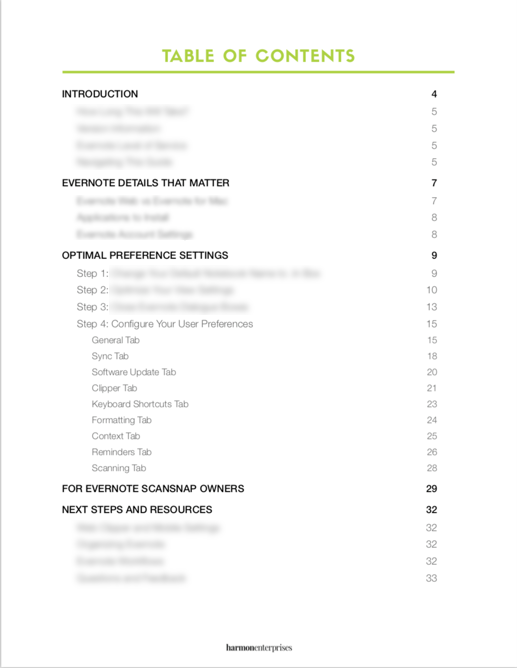 The guide includes comprehensive directions for optimizing settings for all Evernote users, along with expert education on what the settings impact, and explanation of all settings recommendations. So get ready to fine-tune Evernote for maximum productivity. It is a hidden Evernote truth that the details of Evernote are very different on Mac and Windows. But when Evernote is properly configured for your specific device, you suddenly find it...magical. And, you’ll be on your way to Evernote power-user status in no time. The Fast Track: "Just tell me what to do"
The Detailed Track: "I want to understand what you recommend"